Old myths are still arresting to us, and it’s through a mix of commitment to retell them anew and their timeless themes of heroism, emotion and relationships that we still hear about Icarus or King Arthur or Little Red Riding Hood. New tales don’t often mimic old tales—readers want a book that sounds fresh, not stale—and when they do it can come off as affectation. A Wizard of Earthsea by Ursula Le Guin, however, reaches back into the fairy tale legacy so well that it transcends the date that it was written. It was published in 1968 but seems ageless. Le Guin uses the language and format we expect more from myth than from a fantasy novel, returning to the use of old rules in fairy stories, for example the use of “threes”. Ged, the eponymous wizard in the story has to ask three people where to find the Warder of the school for wizards, and only by the third person does he find what he is looking for. Ged’s master Ogion notes that “third time is the charm”, a phrase that people may use in reality without any direct reference to magic—in Earthsea however, a land so interlaced with magic, the phrase implies that the magical rules for three-patterning exist within the world itself as opposed to being merely a narrative style. Le Guin’s magic of Earthsea is rooted in names, with everything and everyone having a true name. Calling this name allows the subject to be changed, whether that is to conjure up a “magewind” (in contrast to the natural wind, the “world’s wind”) to push a boat forwards, or to “set the rune Simn on the spindles and looms, the boat’s oars and tools of bronze and stone they brought him, that these might do their work well”. The use of true names plays into the central story of the book also, as Ged (known as Sparrowhawk to hide his true name) contends with a nameless shadowy presence. The concept of a name which completely typifies a person or thing, along with the ability to exercise power over them if the name is spoken, is seen in some Ancient Greek and Ancient Egyptian mythology as well as other religion and folklore. It’s been used in fiction before A Wizard of Earthsea. In The Hobbit, Bilbo is careful to hide his name from Smaug the dragon—but I couldn’t find a story which stresses them quite so much as Earthsea that also predates Le Guin’s short story The Rule of Names (1964), on which her concepts in A Wizard of Earthsea are based. 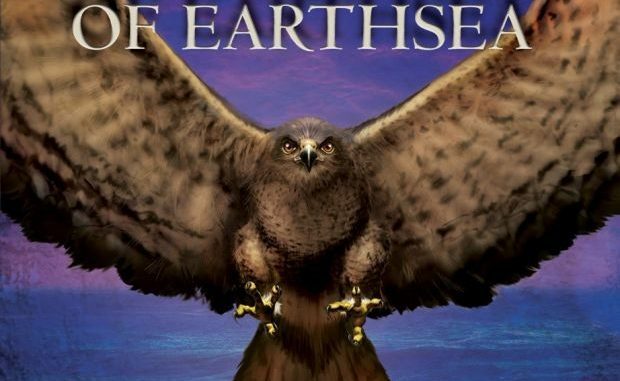 In contrast there is no end of more recent fiction that puts great emphasis on true names; although Le Guin didn’t invent the concept, linking magic or power to true names is definitely a longstanding influence of the Earthsea series on fantasy fiction. I like two things about the magic in Earthsea. Firstly it is explained but not overexplained. Discussions interspersed throughout the book set some limits on the craft, and enough examples of it are seen that the reader can understand where it might be used. There is no clear step-by-step though, no specifically denoted magic words for every spell like in Harry Potter, no detailed spell-language as seen in Eragon, no in-depth discussion of magic as physical phenomenon like in The Name of The Wind. Magic is kept as a separate, unrepeatable force in a way that requires you to think of it in an abstract sense as opposed to something that can be repeated in reality. It shares this with The Hobbit and The Lord of the Rings, which also keep magic mysterious. The second benefit of Earthsea’s magic is how mundane it is. Ged spends most of his time around normal people, paying for his passage and shelter with gratitude and spells. Few people in this world can perform magic and most of those in only a minor capacity. One potential disconnect of fiction describing a world with magic is how non-magical people live and Le Guin shows that in many cases people live small lives on their disparate islands, linked together by boats and by stories and festivals like the Long Dance. So it was done on every island of the Archipelago that night: one dance, one music binding together the sea-divided lands. The warmest parts of the book are Ged’s interactions with people who give him shelter and who he repays through magic, and in contrast members of the nobility are almost universally cast in a negative light. It is a book that does not forget the entitlement of the characters it portrays; Ged is aware of his social standing and takes pains to not unduly worry or manipulate the people he meets. A Wizard of Earthsea follows a traditional journey. The power and potential of Ged leads him to hubris, reaching beyond what is possible or reasonable. Unlike Icarus or (in some versions of the story) Faust, after his retribution he’s given a chance to grow and be redeemed. It’s a magical Bildungsroman, with Ged beginning as a child with no reciprocated, positive relationships and ending with him as a man who sees the value in his friend’s secure family home. All things here were well-founded, peaceful, and assured : and Ged looking about him at the firelit room said, ‘This is how a man should live,’ and sighed. Ged spends a lot of the book looking at the social comforts of life as an outsider, an emotional viewpoint that Le Guin puts across well. The marginally more nuanced feeling through the book comes from Ged’s conflict with the shadow he has summoned. First running from it, then facing it, it provides a physical manifestation of something which many people contend with—the acceptance of parts of ourselves which we would rather deny. In his fight against the shadow he fights also against his arrogance and anger which summoned it. He initially wishes to “undo” his actions but eventually views them in a more mature light. He knew now, and the knowledge was hard, that his task had never been to undo what he had done, but to finish what he had begun. 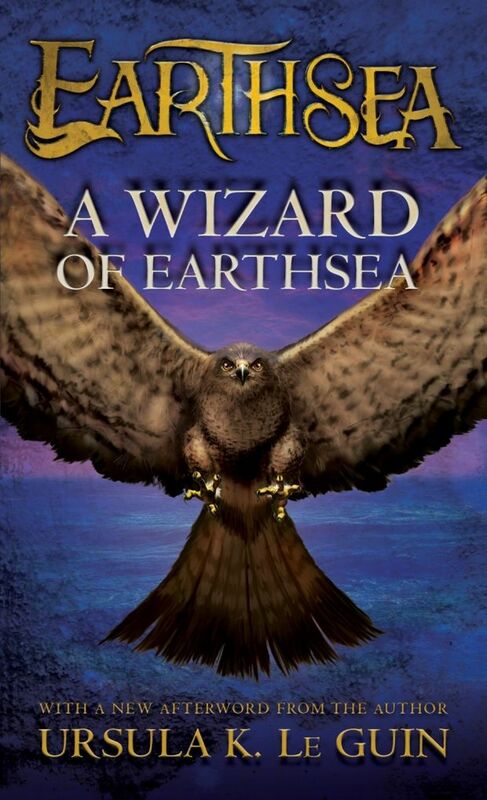 I have not yet read the other books and short stories of Earthsea, but based on my time with A Wizard of Earthsea I can only hope that they compare well to a novel which so successfully depicts the main character and the world he inhabits.